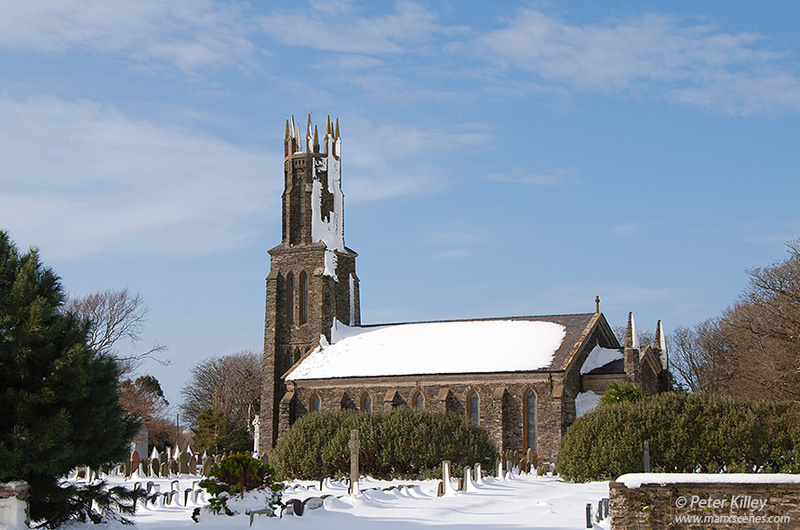 Ballaugh was quite severely affected by a snowstorm that hit the Island on Friday 22nd March 2013 as can be seen by the snow sticking to the East facing section of the spire. What a lovely pictue and no-one has spolit the snow by walking on it …yet. Cheers Eleanor it has been really bad up here with 5 feet drifts in Ballaugh. That’s quite unusual for you isn’t it?